Clever and interesting take on the song, but your voice sounds too happy for such a sad rendition? I’d love to hear more dark and intense expression, maybe holding notes longer, maybe attacking the words more, or going even droopier like an emo kid who just took a tranquilizer. Push the concept even further. Some variation in strum patter (go to 2-string chords for a bit?) could take it to another level. 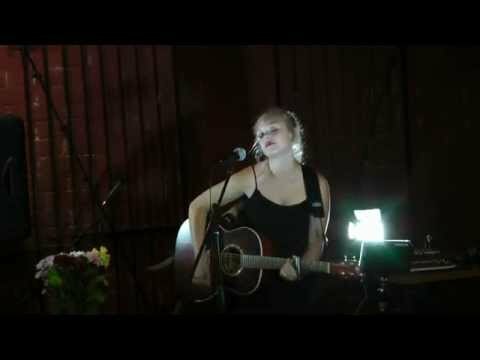 Olivia Roses’ natural ability to connect with an audience through the emotion and story of a song make it difficult to believe she is only 15 years of age. Olivia Rose has opened for Gary Fjellgaard, Jake Mathews, and Adam Gregory. Intermision performer for 54-40, Emerson Drive and George Canyon; where Mr. Canyon invited her on stage to perform. The last four years there has been a whirlwind of amazing opportunities for Olivia Rose to perform on some of Alberta’s finest stages and venues, with an awesome array of artists. Olivia Rose feels her music is like her personality; Country with a little edge. Her songs get stuck in your consciousness and will leave you humming them long after she has quit strumming her guitar. With a dazzling stage presence and a beautiful smile Olivia Rose stands out as one of Alberta’s up and coming independent country music artists. First time I’ve heard that in a minor key – love it! I actually thought the singing was good, but the backing was lacking a little something. The guitar playing felt a little weak – I’d like to hear this again with a band to support you.